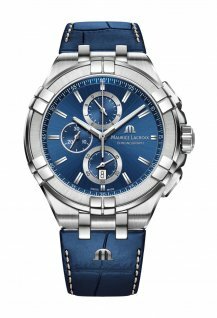 Maurice Lacroix opens the year with a timepiece that unites the brand’s tradition of innovation with a contemporary, urban aesthetic. At first glance, the Aikon Mercury appears to be a normal watch, with central hours, minutes and small seconds at the six o’clock position. With the slightest tilt, however, the hour and minute hands spin freely, abandoning their chronometric duties. Hold the Aikon Mercury upright, and the hands fall back and give correct time. This is the secret of the Aikon Mercury. Like time, it slips away when you’re not paying attention. Like time, it reasserts itself when you need it. The patented mechanism behind this innovative display took 3 years to develop and perfect in the manufacture facilities of Maurice Lacroix in Saignelégier. 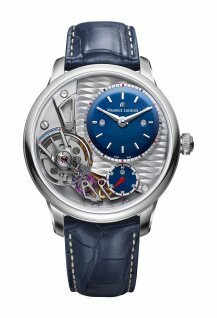 This location, at the heart of the Swiss Jura that forms the supply lifeline of the Swiss watch industry, has enabled Maurice Lacroix to develop and premiere some of its most creative expressions such as the Masterpiece Roue Carrée, with its interlocking eccentric gears, and the Masterpiece Mysterious Seconds. The Aikon Mercury combines an unprecedented “free hand” system that works with natural forces of gravity to read and display time from a double snail-cam mechanism hidden beneath the dial. One snail cam is associated with the display of hours, making one complete rotation every 12 hours, while the other is associated with the display of minutes and rotates once every 60 minutes. 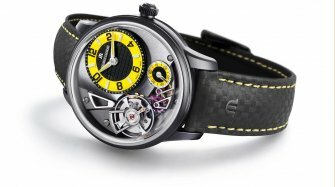 When the wearer turns his wrist to look at the watch, with its movement perpendicular to the ground, gravity acts on two weighted levers, pulling them into contact with the snail cams. Dictated by the continuous rotating snail cams, the levers then drive the hour and minute hands to indicate the correct time. When the wearer leaves the upright position, hands follow a mercurial pattern before falling to gravity. The mechanism still computes in the background, ready to give back the correct time when A is triggered by the position of the wrist. 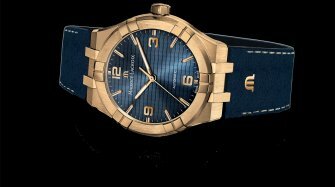 The launch of the Aikon collection in 2016 was a return to the design codes of Maurice Lacroix in the 1990s, updated for the new millennium. The lines of the Aikon incorporated a robust profile with strong angles and sharp interplay between matt and polished surfaces. While the emphasis in existing Aikon automatic models has been subtle elegance, with their textured guilloche dials, the Aikon Mercury takes a cue from the powerful Masterpiece series and features a transparent sapphire dial showcasing a darkened skeletonised module. 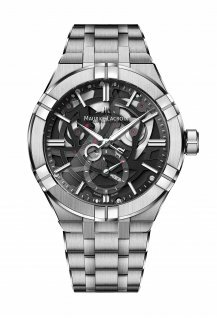 The skeleton design that has been a signature feature of Maurice Lacroix since the 1990s has now been updated, with a combination of circular brushing and hollowed, sandblasted bridges towards the centre of the dial giving a strong, contemporary look. 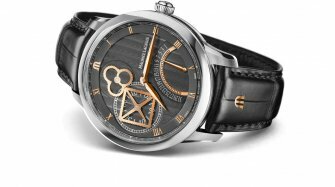 The distinctive Aikon bezel and the leather strap with integrated M logo are hallmarks of the collection, but the hours and minutes of the Aikon Mercury are now indicated by dauphine hands filled with white Super-LumiNova, and their counterweights offer additional visual interest whenever the hands cross and the M logo counterweight of the hour hand is briefly encircled by the counterweight of the minute hand. 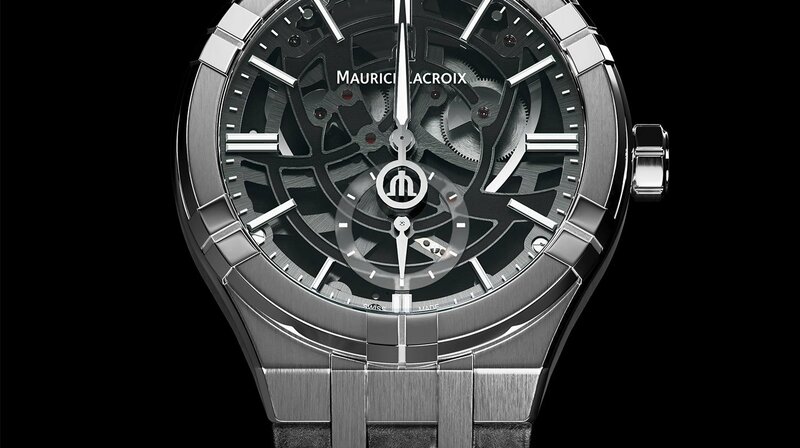 This effect, as straightforward as it appears to be, required the Maurice Lacroix development team to undertake numerous stages of calculation, computer simulations and prototyping to ensure that the hands are not only well poised on the dial of the watch, but that their centre of gravity is perfectly situated in order to allow the hands to move easily when the watch is turned away from the upright position. The name of the Aikon Mercury makes reference to the quicksilver fluidity of time, channelling a dynamic energy that is further reflected with the unpredictable hands. 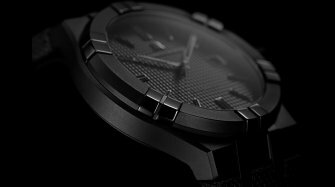 The versatility of the Aikon Mercury lies in its easy transition from urban chic to rugged elegance, in the curves of its skeleton design against the classic geometry of its hands and hour markers, in the time display housed in a steel case, offered with both black alligator leather strap and 5 rows metal bracelet.